Recent Additions to the Market – Pubs For Sale, Hotels For Sale, Restaurants For Sale, Caravan Sites For Sale in Somerset, Dorset, Derbyshire, Gloucestershire, Warwickshire, Yorkshire, Wales, Essex, Norfolk, Cambridgeshire etc. LOOKING TO SELL OR LEASE IN 2018? 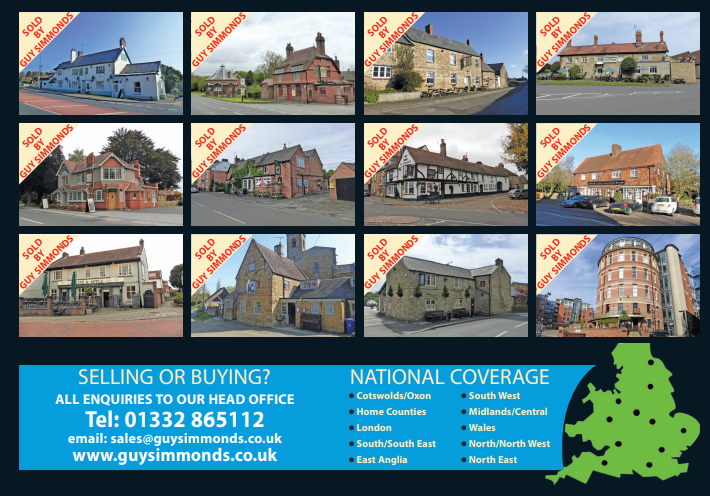 Contact Guy Simmonds for a FREE & Confidential Valuation. Due to recent sales, we are urgently seeking further freehold and leaseholds throughout the country. We can advise retiring freehold publicans on creating a new free-of-tie lease, and retaining their property for investment income.